A Chicago man who has accumulated more than a million miles in United Airlines' frequent flier program has sued the airline in a class action for "immorally" rescinding perks for "Million Milers." George Lagen flies on average 200,000 to 250,000 miles a year, and achieved "Million Miler" status in United Airlines' Mileage Plus frequent flier program. He said that the average customer would spend about $273,000 to reach 1 million miles. "On the other side of the coin is United Airlines, which reaped millions - if not billions - of dollars from Million Miler members," the suit stated. Elite frequent fliers aren't only doing battle with United. American Airlines realized it was losing money from its "unlimited" first class flying program and began to crack down on its AAirpass holders, accusing some of them of breaking the program's rules. "This case is about all the Million Milers affected by the changes United Airlines made to their promised lifetime benefits," said Lagen, through his attorney, John F. Edgar. "United promised these lifetime benefits for the Million Milers' loyalty and money, year after year, for decades." He has sued for breach of contract, good faith and fair dealing, and has invited other fliers who became Million Milers before the merger to join a class action filed last Thursday in U.S. District Court for the Northern District of Illinois. "After the merger, United reneged by taking away or downgrading all the promised lifetime benefits, only to market them as 'new and improved benefits.' Million Milers are hardworking people, most who are required to fly for a living," Lagen said. "They are not asking for anything more than what was promised to them by United." "We greatly value our Million Milers and are continuing to deliver valuable and highly competitive benefits with our lifetime program. One Million Milers receive benefits at the 50,000-mile premier status level – the same as before. We believe this suit is without merit." Ryan declined to say how many United Airlines customers are Million Milers. Lagen said that before the merger, Million Milers were "guaranteed Lifetime Premier Executive status for life" only through the purchase of actual tickets toward 1 million miles. Those lifetime benefits included a one-time award of three systemwide upgrades, two free regional upgrades a year, a 100 percent bonus for the miles flown each year, and other lifetime benefits, such as preboarding advantages, upgrade possibilities and seating priority. 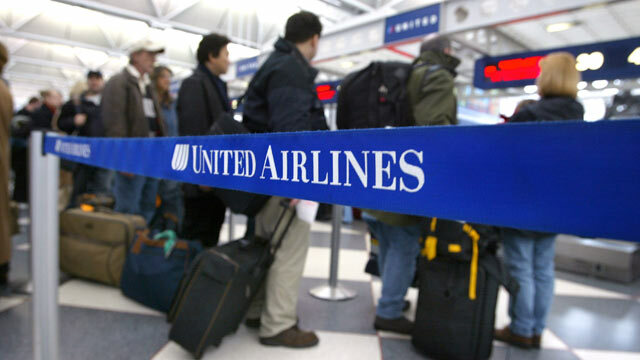 In October 2011, United announced on its website Million Mile Program lifetime status benefits would not change, according to the lawsuit. But Lagen said his 1 million miles now only gives him second-tier status after the airlines merged. The new frequent flier program, called MileagePlus, has four tiers of classification: Premier Silver, for those who fly at least 25,000 miles per year; Gold tier for those who fly 50,000 miles or more; Platinum for those who fly 75,000 or more per year; and 1K, for those who fly 100,000 miles or more per year. Lagen had to say bon voyage to the 100 percent bonus miles, which is now only 50 percent. He also no longer has the one-time award of three systemwide upgrades nor the two regional upgrades a year, according to the suit. The suit also lashes out at the elevated treatment of Continental Airlines' frequent fliers. "In stark contrast to the gutting of promised and bargained-for benefits for Million Milers, the new MileagePlus Program perversely and arbitrarily rewards former members of Continental Airlines' former Continental One Pass frequent flier program," the suit states. "Under One Pass, Continental customers could obtain "miles" or credit without even stepping foot on a Continental plane," the suit states. "United's egregious actions, if left unabated, will result in its unlawlly, not to mention immorally, retaining the millions upon millions of dollars it received from Million Miler members," the court filing states.